Evo is one-way car sharing at its best. Just pick up a car near you, keep it for as long as you want and end your trip by parking in any approved spot within the Home Zone. You only pay for the time you use. Loaded with bike and ski racks, Evo's fleet of Toyota Prius Hybrids provides enough space for you and all your gear. It's an easy and affordable way to get you from here to there, with room for your friends. Evo cars are located all around the city within the Home Zone, and you can find available cars by checking evo.ca or using the Evo App. Cars can be booked 30 minutes in advance, or you can simply walk up to an available Evo and start your trip. You can start your trip through the Evo App or by tapping your Evo card on the windshield reader. You can drive anywhere, and keep Evo for as long as you want, as long as you end your trip in the Home Zone. You only pay for what you use, and are charged a low per minute, per hour or per day rate. If you want to make a stop during your trip but want to keep Evo, whether inside or outside of the Home Zone, you can make a stopover by taking the key fob from the glove box holder and locking the doors. In a stopover, trip time keeps accumulating, but you know Evo will be there when you get back. To end your trip, just park in any approved parking location within the Home Zone. Learn more about Evo by checking out our how it works videos. What kind of vehicle does Evo use? Evo uses a 100% Toyota Prius Hybrid fleet. With seating for five, plenty of cargo space, and bike and ski racks, it's made for BC. All Evo vehicles are also outfitted with Mud and Snow tires which meet BC’s winter tire requirements. Learn more about our cars here. What do I do if my Evo card is lost or stolen? It is important to let us know right away if your card has been lost or stolen so we can deactivate your lost card, and set you up with a new one. A replacement card costs $15, and can be picked up at our office or by calling us at 1-844-EVO-2-EVO to have one mailed to you. No problem, it's an easy fix. Just visit the login page at evo.ca, click the “forgot password” link and follow the instructions. How do I download the Evo App? It's easy. Just visit iTunes or Google Play and follow the instructions. How can I contact Evo? All of our info is on the 'Contact us' page. Or if you're in an Evo car, we've got 24/7 support via the 'Evo Help' button. Evo Charges a one-time Registration fee of $35 only when your Membership is approved. Then you only pay for what you use, and all charges are automatically charged to your credit card at the end of each day. Check out our per-minute, hourly and daily rates here. For BCAA Members the one-time registration fee is waived! Just enter your BCAA number on the registration page. Evo also charges an annual Car Share Operator fee of $2. Pretty much everything – every trip includes gas, insurance, parking, unlimited kms, maintenance, 24/7 support, and BCAA roadside assistance. What if I have lost or found an item in an Evo? If you find an item left behind by another Member, please leave the item in the glove box or the trunk depending on the size of the item, and let us know by using the in-car Evo Help button or by calling 1-844-EVO-2EVO. Please also give us a ring to report a lost item, we will keep an eye out for it and let you know once it has been found. We keep all lost and found items at our office for 30 days. You can give us a ring or swing by to identify and pick up your lost item. And while we will do our best to keep your belongings safe, we are not responsible for any items that are lost or stolen in our cars. To join Evo you must be at least 18 years old, have a credit card, a valid drivers licence, 2 years of driving experience and meet our minimum driving requirements verified by a driving record check. Signing up is quick and easy. Just register online, then call ICBC or your licensing authority and have them send us your driving record for the past 2 years. Once approved you'll get your Evo card in the mail within 5-7 days. But you don't need to wait for your card, since you can download the App as soon as you're approved and hit the road right away. What is the Driving Record Scoring Criteria? If you are unsure if you have any traffic violations or points against your licence, check them through ICBC here. Once you have registered online, request your driving record from ICBC online or by phone at 1-800-950-1498 or 604-661-2800 from 8:00 a.m. - 5:00 p.m. (Monday- Friday) and request they send a copy of your driving record to records@evo.ca. Evo only accepts driving records directly from ICBC and not from individuals (exceptions can be made for those with driving records outside of BC). Can I join if my driver's licence is from outside BC? Yes, but you must still meet our minimum driving requirements and send us a copy of your 2 year driving record issued by the licensing authority in the province/country you received your licence. I have a licence that was not issued in BC, how can I obtain my driving record? We will need a photo of the front and back of your licence as well as a copy of your 2 year driving record. Please contact the driving authority from your licensing province or country and ask them to email or fax a copy of your 2 year driving record translated in English to records@evo.ca. Evo accepts certified translations (sorry, Google Translate doesn’t count). If you don’t know who your driving authority is, check this handy tips sheet or you can contact the agency that issued your licence, or call Evo for help. It is important to ensure the documents provided verify your history as a driver, and not just provide a confirmation that you have a valid licence. All driving records are processed within 1-2 business days after we receive them. You will receive an email to confirm your application status. Once approved, Members can access Evo right away by downloading the Evo App. A Member kit containing your Evo Membership card will also arrive in the mail within 3-5 days. How do I know if I have been accepted/approved? We'll let you know the status of your application via email as soon as we've reviewed your driving record. And not to worry, you won't be charged anything until you have been approved. How long do I have to submit my driving record after registration? There is no specific timeline, but the sooner you get us your driving record, the sooner you can hit the road. I have an N, am I eligible to join Evo? You bet. As long as you have 2 years of driving experience (combined with your Learner's years) and can meet the other minimum driving requirements. We recommend you call ICBC and request that they add your Learner’s experience to the cover letter that accompanies your driving record. I have a promo code - what is this? There are actually two kinds of promo codes! For new Members, a promo code allows you to join Evo with waived registration fees, and can even include free minutes of driving. Join promo codes must be entered at the time of registration. Promo codes do expire, so double check your code’s expiry date before your register. Existing Members can also use promo codes. These codes give existing Members free minutes of driving and can be entered their Evo accounts, under the My minutes section. Promo codes, as well as the free minutes associated with promo codes will expire, so it’s important to double check any expiry dates before entering your free driving minutes. How long are free minutes valid for? It depends on the promotion, each promo code has its own expiry date (usually 30 days). You can login to your account page to see all the details of your promo minutes, including expiry. Or just contact us with any questions you may have about your promo minutes. How can I manage my minutes? Simply login to your Evo Account. You will be able to see current and past promotions you have used, how many minutes you have available and when they expire. If you have any questions, just contact us – we’d be happy to help. Are there rewards for BCAA Members? BCAA Members get free Evo registration, plus BCAA Members save 10% on all driving rates. That means every time you take a trip, you pay 10% less! The 10% savings does not apply to registration, Car Share operator or service fees, however. You can enter your BCAA Membership number at the time of registration, in your Evo Account online, or call us to help you update your information. Not a BCAA Member? Join today to save 10% on every trip you take. Don’t forget to enter your BCAA Membership number when registering for Evo. How do I find a car? The easiest way to locate a car is to look in the Evo App. You will see black icons for each Evo car which can be expanded to provide details such as licence plate, distance to location of vehicle and fuel level. You will also see Parking icons which can be expanded to provide details on parking location, number of reserved spots and directions. If you can’t see information such as parking or car icons, or the Home Zone boundaries, double check to ensure your filters are on. You are able to walk up to an available Evo or reserve one up to 30 minutes in advance for free! How can I tell if a car is available? Check the Evo App or evo.ca to find available cars near you. You can also walk up to a vehicle and check the windshield reader. A green light means the car is available. If no lights are on, the car is in sleep mode. Use the App or tap your card on the windshield reader to wake Evo up and check the car's availability. An orange light indicates the vehicle is reserved, and a solid red light indicates the vehicle is out of service. Do I need to reserve an Evo? No need to reserve, you can simply walk up to any available car on the street. However, you have the option to reserve up to 30 minutes in advance using the Evo App or on evo.ca. Plus there's no charge to cancel if your plans change. How do I reserve Evo? You can reserve a car through the Evo App or at evo.ca. Bookings are good for up to 30 minutes in advance and you can cancel free of charge if your plans change. If you see an orange light on the windshield reader, it means Evo is reserved. Want to learn more about reserving an Evo? Watch our video. Radar is a new feature which lets you select a geographic area you want to find an Evo in, and alerts you when an Evo becomes available. Open radar, drag the icon to your chosen location and adjust your search radius by dragging the slider. You can also edit your date and time if you want to set an alert for a future time. It’s just that easy! The Home Zone is the service area where you can start and end your trip. The Home Zone boundaries illustrated below appear on the online map, and on the Evo App. Your Evo car will also let you know when you have left the Home Zone, so you know exactly where you can and cannot end your trip. Evo’s Home Zone also includes parking at Park’N Fly at Vancouver International Airport, Grouse Mountain, Capilano University, BCIT & SFU campuses and Metrotown. Can I go outside of the Home Zone? Sure, you can take your Evo anywhere in Canada. However, you can only start or end your trip inside the Home Zone. Just remember stopovers outside of the Home Zone count as part of your trip and you will be billed for the time you use. How do I unlock the Evo? You can unlock the Evo that you've reserved or any available car on the street using your Evo App or by tapping your Evo card on the windshield reader. Check out our how it works videos to learn more. To start your trip, simply use your Evo App or tap your card on the windshield reader. The light on the windshield reader will change from green to orange, indicating you have successfully started your trip. If a red light appears, an error has occurred, so please try again. Sometimes a communication problem or long delay can make a booking fail. If you ever need help feel free to call us at 1-844-EVO-2-EVO. Check out our how it works videos to learn more. You don't need a key to start your trip. Just put your foot on the brake and push the 'power' button. Because it's a hybrid you probably won't hear the engine start, so just put the car in gear and you're off. You won't need the key which is located in the glove box unless you are making a stopover. What if I can't start the car? To start the car you must have your foot on the brake before you press the 'power' button. Since Evo is a hybrid, you may not hear the engine start, but you will still be able to put the car into gear and hit the road. If that's not the issue, make sure to check that the key fob and gas card are in the glove box holder. Check out our how it works videos to learn more. If you would like to keep the car reserved while not driving (e.g. you’re on a shopping trip and want to make sure the car is there when you get back) you can make a stopover. You can do this by not ending your trip and instead using the key fob located in the glove box to lock and unlock the car. This ensures your Evo stays reserved and no one else can take it. Remember that the key fob must be returned to the glove box holder before you can end your trip. Also, please keep in mind that your trip time keeps accumulating while you’re in stopover mode. You can end your trip when you've parked in an Evo approved parking spot within the Home Zone. Make sure you're up to date on where you can park. Remember to take all of your belongings with you and ensure the car is in good condition before ending your trip. When you get out, do a quick damage inspection. If you notice any damage, report it using the in car Evo Help button before you end your trip. When you're ready to end the rental, use your Evo App or tap your card on the windshield reader. You'll know you have successfully ended your trip when the doors automatically lock and a green light appears on the windshield reader. It's important to double check you have ended your trip successfully so that trip time doesn’t continue to accumulate on your account, and to avoid unsecure car fees. Check out our how it works videos to learn more. Why can't I end my trip? Still having issues ending your trip? Contact us for help using the in car Evo Help button. Yes, but only in carriers. Excessive cleaning fees do apply if pet hair and/or odors are found in the vehicles. Yes but please clean up after yourself. Excessive cleaning fees do apply if a car is returned dirty. No. Excessive cleaning fees apply if we detect smoking occurred in the vehicle. Is Evo equipped for kids? We are most definitely family friendly, but please make sure you bring your own booster/car seat to ensure your little ones are safe. This usually means the car is in sleep mode. Simply use your Evo App to select the vehicle or tap your card on the reader to wake it up. Please report any damage or cleanliness issues by using the in car Evo Help button at the start of your trip. This is an important step, because you could be held responsible for any unreported damage or cleanliness issues if left until after your trip. No, only the Evo Member that reserved the car can drive. How many kilometers are included? All your kilometres are included! You can go as far as you want as long as you drop your Evo off in the home zone. What type of operating system does Evo work best with? Evo works best with the current versions of Chrome and Firefox on your desktop, iOS 10 and above, Android 5 (Lollipop) and above on mobile devices. Where can I go in Evo? Can I go across the US border? You can take Evo anywhere within Canada, but at no time is Evo able to cross the border into the US. Just be aware that anytime you are 200km outside of the Home Zone (even in Canada), have taken a ferry or are in any other hard to reach area, it becomes difficult for us to help you should you need a tow or have been in an accident. Because Evo needs to be returned to the Home Zone, you will be responsible for any additional costs associated with returning the vehicle to the Home Zone, as well as any vehicle repair, accidents and towing. How do the bike/ski racks work? Keys for the bike and ski rack locks can be found on the key fob located in the glove box. Instructions for how to work the racks can be found here. Just be aware of the height of the vehicle when using the bike racks. The car will not fit into any underground lots with bikes on the racks. Any damage to the vehicle as a result of using the bike racks inappropriately or an over height vehicle will be the responsibility of the driver. Don’t forget you can contact us at info@evo.ca or 1-844-386-2386 for more info! Don't panic. Just press the 'Evo Help' button inside the car for 24/7 support and call 911 if there are safety concerns or anyone is injured. Just press the 'Evo Help' button inside the car for 24/7 support or call us at 1-844-EVO-2-EVO. You can update your credit card information securely in your Evo account online or in the Evo App. We always try to ensure every Evo is fueled up and ready to hit the road. So, in most cases you shouldn’t have to refuel your Evo. If you take Evo for a longer trip, you may need to stop for gas. In that case, simply refuel Evo using any method of payment that works for you, and we will reimburse you. Snap a picture of your receipt, and email it along with the licence plate and time of your trip to info@evo.ca. We will process the reimbursement, and credit your credit card on file for the amount of the refill. You can park for free in any 'Evo only' parking spot on the street or within designated parking lots. You can also park for free in residential and permit only areas within the Home Zone. Parking in other legal spots, like parking meters, is only permitted during stopovers (never end your trip in these spots) and Members are responsible to pay for any associated parking rates or fees. Members can park on street in 2 hour zones, but other time-restricted areas are not permitted (so any areas that turn into a no stopping zone are a no-no). In the cities of North Vancouver and New Westminster, Members also have unrestricted parking in residential exempt and permit parking. Remember that you are still required to obey all the usual signage, restrictions and by-laws Members are also on the hook for any tickets or tows if parked illegally during stopovers, or when ending trips in any non-designated or approved Evo spot. Check out spots you should avoid and our how it works videos on parking for more information. What parking spots should I avoid? You cannot end your trip in a metered space, unmarked underground or aboveground parkade spots, commercial parking lots such as grocery stores, unmarked private, residential or park board properties. You also shouldn’t park in time restricted areas (except for on street 2 hour zones), commuter lanes, loading zones, valet/taxi/bus zones, disabled, reserved locations or any other illegal spots. Back alleys are also out of the question unless there is city signage designating them as permit only. Event Parking is not permitted. Please obey all city signs that indicate no parking due to street cleaning, maintenance and construction, filming or any other restrictions. You can drop off your Evo at Park’N Fly by entering through the main entrance. Simply end your trip using your Evo App or Membership card, and leave your Evo with a parking attendant to valet park. Make sure to note your licence plate number, then head inside the Park’N Fly building and register your Evo. You can wait inside for the shuttle bus to take you to the main terminal. Shuttles depart for the terminal every 5-7 minutes and drop off at both the International terminal/Canada line station and the Domestic terminal, just note that you will need to go up a level from the drop off point to reach the departures level or the Canada line platform. When picking up a car from Park’N Fly, we always recommend that you check for available cars and reserve your Evo before hopping on the shuttle bus. This just ensures a car is available for you when you need it. Shuttles back to the Park’N Fly lots depart every 5-7 minutes and pick-up from the Arrivals level for international passengers and from Level 1 for domestic passengers. Just let the shuttle driver know you are an Evo Member picking up a car at the Park’N Fly office. Once you arrive, just show your Evo Membership card at the checkout counter, you will receive an exit pass and be directed to where the vehicles are parked so you can exit the lot. Start your rental as usual and hit the road! Can I park at Grouse Mountain? Yes, there is a satellite Home Zone at Grouse Mountain. You can end your trip there and park for FREE. There are 2 reserved spaces for all car share vehicles but if these are full you can park in any legal spot within the Grouse Mountain parking lots for free. How does parking at Tsawwassen Mills Mall work? Fill in a check-in sheet at guest services when you arrive. You will need the parking zone number, Evo licence plate and the email address associated with your Evo account (both of these can be found in your Evo App). Shop your heart out for 2 hours or more! Check-out at guest services to receive your $30 gift card. The gift card is valid for most retailers at Tsawwassen Mills Mall. The special offer is valid for one gift card per Member per 2 hour visit, up to a maximum of 2 visits per calendar month. Plus you can find 2 reserved Evo parking spots at Entry 3-C. Happy shopping! 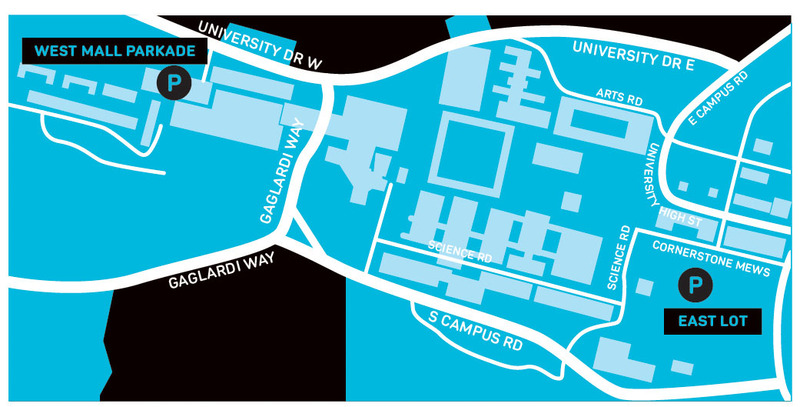 How does parking at UBC work? Parking at UBC is only allowed in Evo reserved locations and lots. Check out the App or the map on our website to view the locations and descriptions of these lots. Parking outside Evo reserved lots (for example in permit or residential areas) may result in tickets and tows. How does satellite parking work? We have satellite parking locations – designated parking areas where you can start and end your Evo trip – at Park’N Fly at YVR Airport, Grouse Mountain and University campuses such as UBC, SFU, BCIT, and Capilano University. You can find reserved parking locations on the App and are able to use designated overflow lots when reserved parking locations are full. Parking outside designated overflow lots is not permitted. Where do I stop during a stopover? You can park anywhere during a stopover. Just remember that you are treating your Evo like your own car, so you will have to pay for any associated fees, like parking meter or private parking rates. Unfortunately you are only allowed to drive Evo during a trip under your account, so you can’t valet Evo. Some special events and at specific Evo-designated lots, such as Park N’Fly, offer Evo Drop Off service, where you can end your trip and have an Evo partner park your vehicle for you. Can I park in commercial parking zones? What if I'm not sure where to park? It's better to be safe than sorry, so feel free to give us a call to clarify if you need to. What is tandem parking, and am I allowed to tandem park an Evo? Our lot on Expo Blvd, near Costco and the Stadium Skytrain Station, is our only location that allows tandem parking, which is when two cars are able to park right behind one another in a single spot. When parking in a space that allows two Evo cars, make sure you pull all the way up to the sign post to allow other Members to park behind you. If you have reserved a car that is blocked in by another Evo, we recommend you cancel your current reservation and take another Evo from the spot if it’s available. You pay only for the time you use. Our rates are by the minute, hour or day, and we always charge the rate that is cheapest for you. There is also a $1 All Access fee charged on your first 200 trips/calendar year (resets annually). This fee helps keep Evo All Access, paying for fleet maintenance, eco-friendly cleaning, gas, insurance, parking and unlimited KMs. Do I have to pay for tolls? Yes, they are automatically charged to your account. All charges will automatically be applied to the credit card on your Evo Account at the end of each day. You'll be able to see the cost of all your trips by logging into your account the next business day, and you can download monthly statements. We would be sad to see you go, but, simply email us and we'll take care of it. What are the local taxes applied to Evo? Evo is subject to GST, PST and PVRT. Your credit card will be automatically charged for parking tickets, towing and any associated processing fees. If you have any concerns please contact us. If a Member causes any damage to the vehicle or is deemed liable for an accident they are involved in, they will be responsible for a deductible of up to $1000. If the Member Agreement is broken during the time the damage was caused, the deductible is not applicable and the full amount of the damage to Evo and third party (other car/property etc.) will be the Member's responsibility and the user's Membership may also be terminated. Click here to read the Member Agreement. What if my credit card provides accident coverage? If your credit card company is willing to cover damage fees you will need to pay for the entire Evo deductible and then have your credit card company reimburse you. We will assist in providing you the necessary documentation. Evo is insured with full comprehensive and collision insurance, as well as Third Party Liability insurance. No, there is no damage waiver available at this time. What happens during an accident investigation? Once you have reported your accident to Evo, the Evo team will inspect the vehicle and create a claim if necessary. We will keep you updated during the process. What happens if there is an insurance claim or if I cause damage to an Evo? If there is a claim or damage caused to Evo, and you are deemed at fault for the accident, you will be responsible for paying the damage fee/deductible. What if I violate the Evo Member Agreement? Any violations will lead to your Membership being terminated with or without notice. Can I use Amazon Alexa to book an Evo? What devices does Evo’s Alexa skill work with? The skill can be used on any of the 18 Amazon Alexa devices, including the Echo and Echo Dot, along with many other Alexa-enabled devices including the Sonos One smart speaker. How do I link my Evo account with Alexa? Check in with our 24/7 call centre anytime.